Steel pipe cutting saw is essential part of ERW pipe mill to obtain a high precision cutting with fixed dimension while material is moving at high speed. 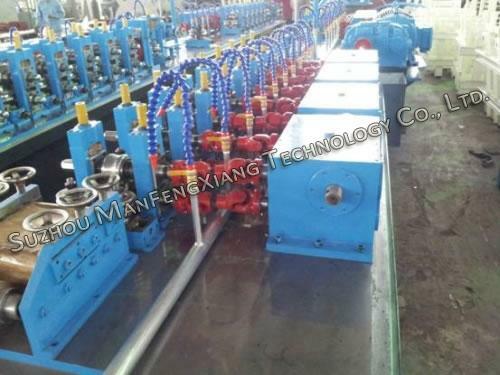 Pipe flying saw can handle various tubes including circular, square, rectangular, oval, etc. Flying cutoff saw is well suited for low carbon and stainless steel. 1. 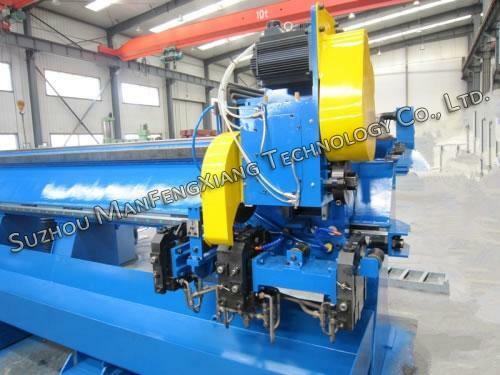 Steel pipe cutting saw is totally numerically controlled. 2. It adopts control desk with the most modern man-machine interface to show exactly the production status and fault diagnostics. 3. Flying cutoff saw adopts AC servo motor control system for faster response time and better results. 4. Steel pipe cutting saw is characteristic of low noise, high precision, stable running without any burrs. 5. 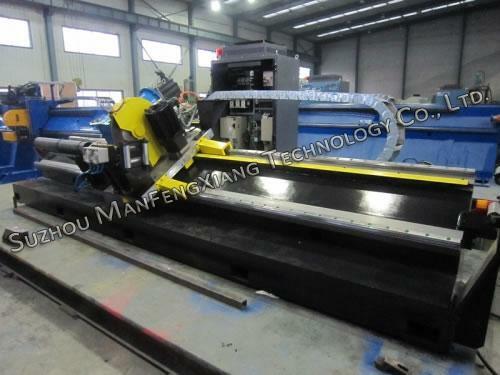 Flying cutoff saw is able to achieve cleaning cutting of the pipe ends without the need for any end facing or de-chipping even in the hollow section. 6. 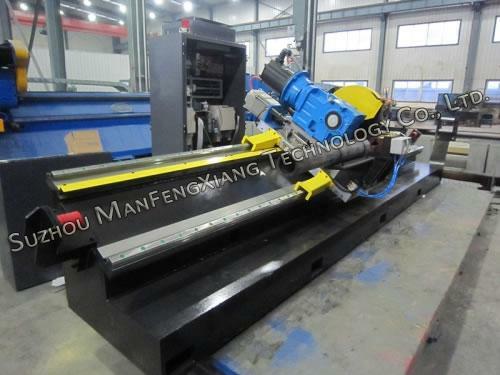 Controlled by PLC programs, steel pipe cutting saw can achieve automatically moving, feeding and high speed cutting. SUZHOU MANFENGXIANG TECHNOLOGY CO.,LTD. 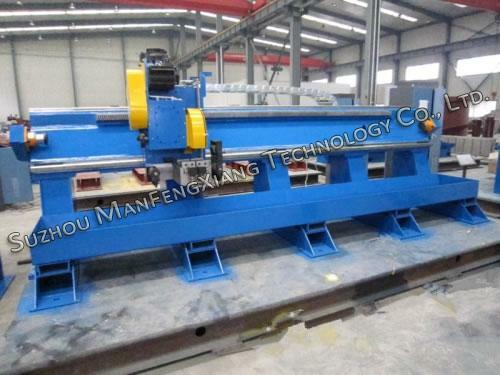 is a specialist manufacturer of steel pipe cutting saw for ERW pipe mill. All our machines have passed CE certification. Our flying cutoff saw and other products are well received by customers from North America, South America, Europe, Middle East, Southeast Asia, Russia, Australia and other regions.